are especially troublesome where food is prepared and sanitation is lacking. introduces into an area through food, vegetables, beverage, equipment or furniture deliveries. brownish, fast running insects with long, slender antennae. Product used is colorless, odorless and non toxic to humans. Each area will be visited once every three months. 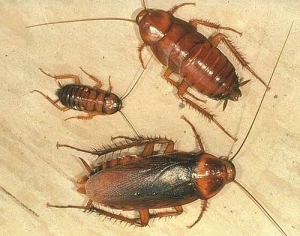 Treatment of Cockroaches will carry a (3) three month guarantee.